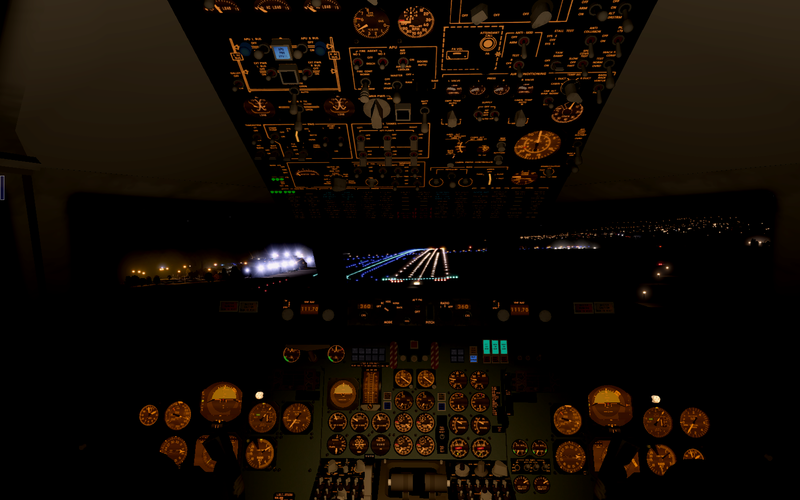 This post is a quick review of my experience using X-Plane 11. This quick review represents my experience after running X-plane 11 on an older computer. If you like tweaking, modding and using addons you will love X-plane 11 because adding custom content is a breeze in X-plane11. It might be just me, but I find the steering/rudder controls of the default Cessna 172 and helicopter erratic and difficult to control on take-off. New users may have some difficulty at first. While generally clouds and fog in X-plane 11 are good we know they could be improved visually in terms of their shape, definition and overall appearance. Thunderheads and storm clouds should appear like tall menacing thunderheads (cumulus cloud) rather than layers of stratus. Contrails in X-plane 11 need fixing (see my comments in graphics section below). Of course the visuals can always be improved and I know the X-plane developers are working hard on so many awesome aspects and improvements for X-plane 11, including realistic clouds and autogen. However, aside from unrealistic ATC audio, two areas that really distract my flying is the terrible rendition of airline contrails when viewed at a distance and the deer/birds. Right now X-plane 11 is showing black/grey contrails which are hardly realistic. The first time I saw it I thought the plane was on fire. I will be looking forward to new longer and actual white aircraft contrails (as seen in FSX) which would improve the visuals greatly in X-plane 11. Being able to disable unrealistic looking deer and birds on the runway would be fantastic. Thank you Laminar Research. Final Verdict/Should You Buy X-plane 11? If you love flight sims such as FSX, than yes of course you should buy X-plane 11. X-plane 11 runs better and the atmospheric visuals are impressive. In addition, the improved UI and the realistic lighting is enough to give this simulator an emphatic positive recommendation from me. However, I also recommend first trying out the Demo for X-plane 11 before you spend the money on the full version (either on Steam or via X-plane.com). With the demo version you will be able to see how well (or poorly) the sim runs on your particular machine while you experience the new user interface, flight controls, included aircraft and weather and lighting systems this great flight simulator provides. Disclaimer: The opinions and information expressed in this review are my own and are based on my own experience only. These views or opinions are not intended to represent Laminar Research nor any of the developers of X-plane 11 in any way. I am a big fan of the X-plane 10 flight simulator. However, there are many simple and complex features both visually and technically (such as ATC) that could be added to enhance X-plane 10. Excellent airport addons and plugins are already available such as Real Terra Haze which can greatly enhance ones playing experience in X-plane 10. In this post I want to focus on 5 visual features that would enhance and do enhance its basic realism for the casual user. Depth perception in X-plane 10 appears to be lacking especially in and around clouds. In real life, when viewing an aircraft from the ground or from any exterior view, as it enters a cloud (s) the aircraft will disappear and emerge out the other side. In X-plane 10 this does not occur but instead the aircraft is always kept in view despite it passing through clouds. Not very realistic. Contrails or vapor trails in X-plane 10 are not as visible and as bold as seen in real life. In X-plane when viewing an aircraft from the ground in many cases vapor trails are not visible at all despite the aircraft altitude. Contrails in X-plane 10 should be enhanced, brightened and even lengthened depending on the humidity and air temperature as occurs in real life. Sun reflection on water doesn’t appear realistic but instead appears to be much too defined. Many times it appears large and washed out. Types of Clouds and their height. Cloud types in X-plane 10.41 have been improved since X-plane 10 was first released. However, the height of clouds and various types of storm clouds such as Cumulonimbus clouds need to be improved and/or added to the sim. In my opinion most clouds in X-plane 10 are still without great definition and appear as heavy fog or stratus layers even during a storm and in the distance. Realistic atmospheric haze is not part of X-plane 10 by default but adding it creates yet another layer of visual realism. Real Terra Haze (RTH) in conjunction with the plugin FlyWithLuia creates realistic looking atmospheric blue haze when flying over mountains and varied terrain. These plugins can be added to X-plane 10 to give that necessary bluish realism (among other enhancements) we wanna-be pilots so enjoy seeing. What visual enhancements would you like to see in a default copy of X-plane 10?